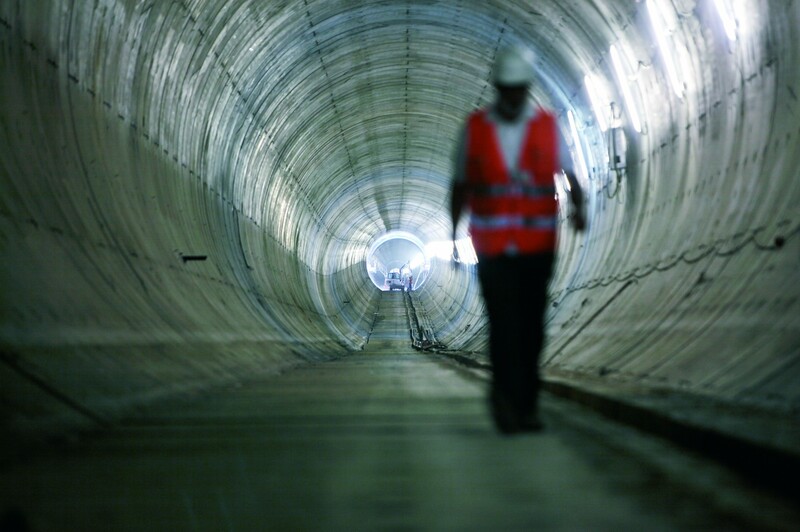 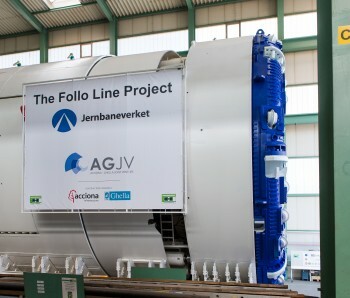 With innovative techniques and international experience, AGJV will construct the main part of the tunnel at the Follo Line Project. 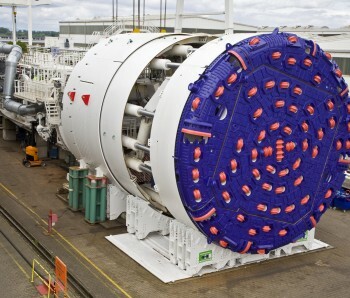 Four Tunnel Boring Machines will be central to this part of the project. 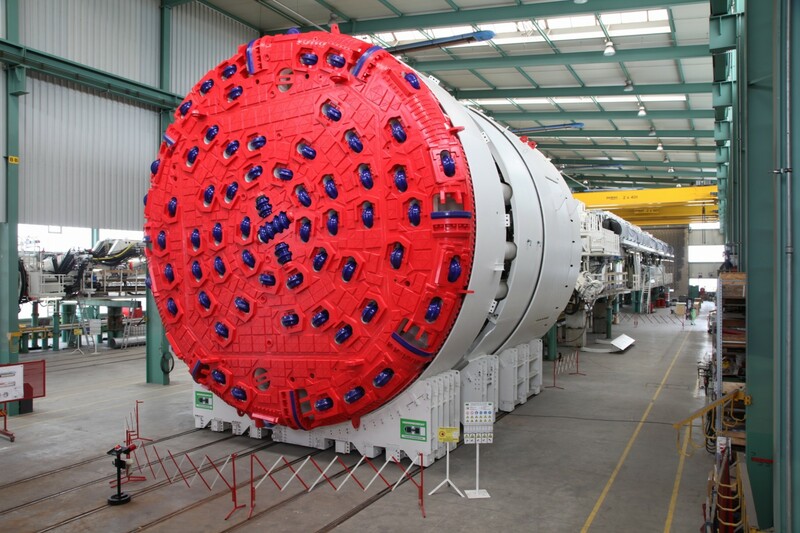 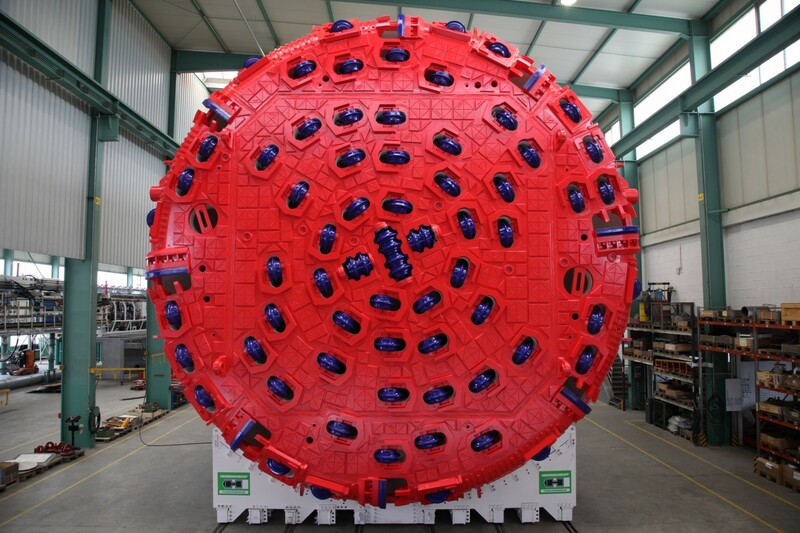 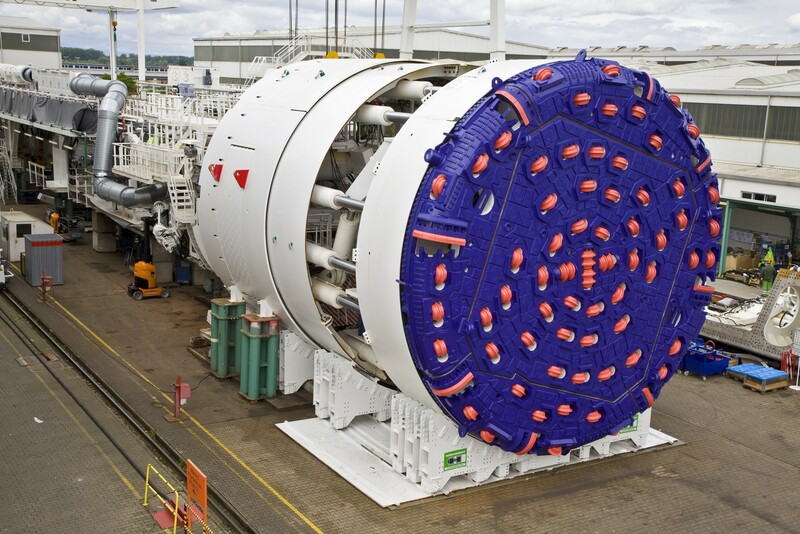 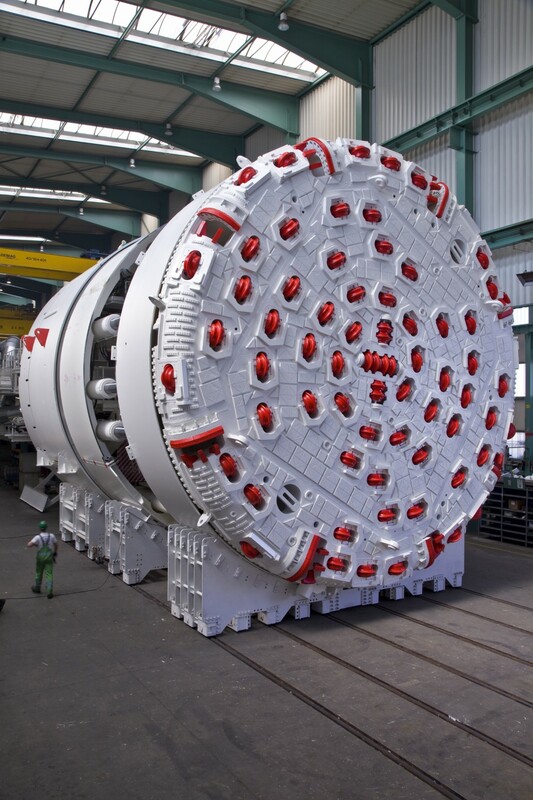 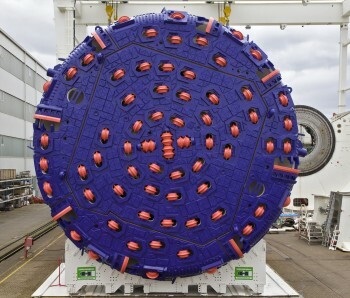 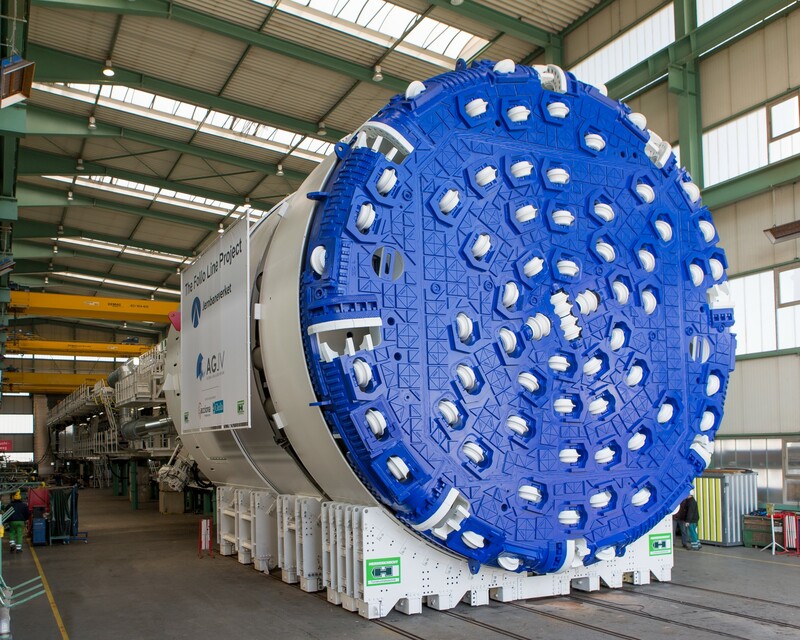 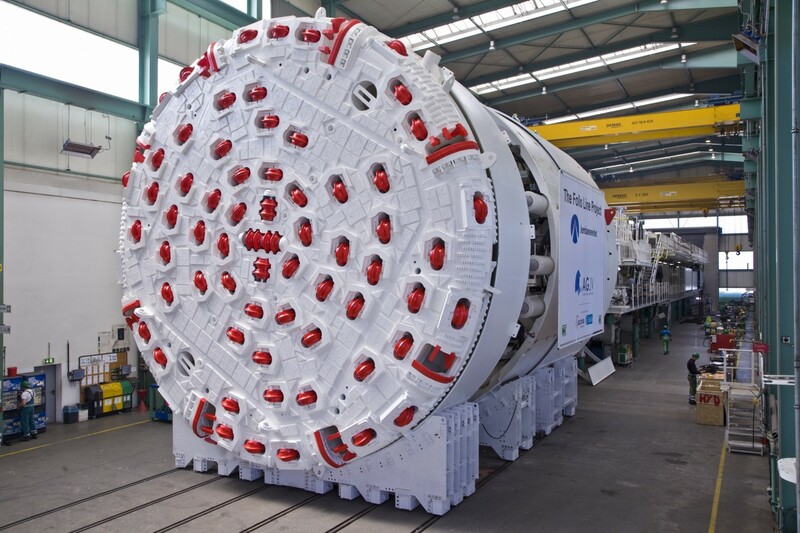 A tunnel boring machine (TBM) is a machine used to make a complete and tight tunnel in one process. 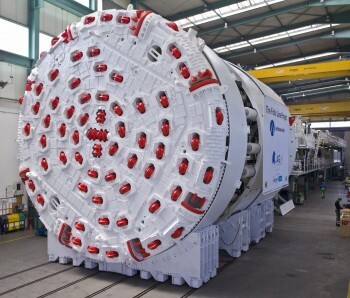 The construction of the twin tunnels at the Follo Line will involve the simultaneous deployment of four tunnel boring machines. 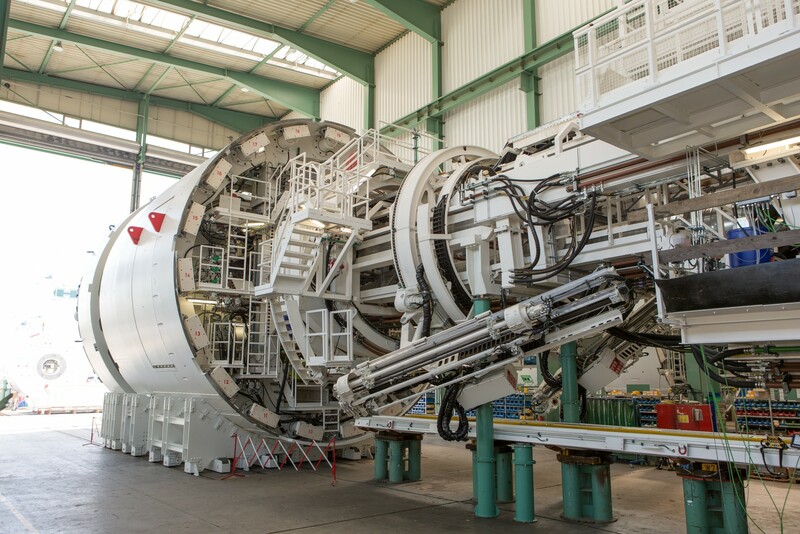 Two of the machines will drill north towards Oslo and two will drill south toward Ski, with a base at Åsland. 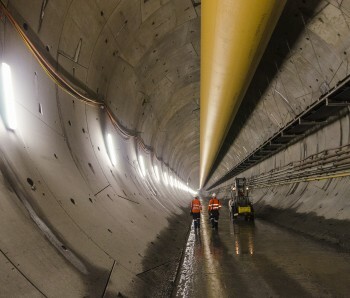 The railway tunnels will eventually be 8.75 metres in diameter (excavation diameter is 9.96 metres), and about 18,5 km long. 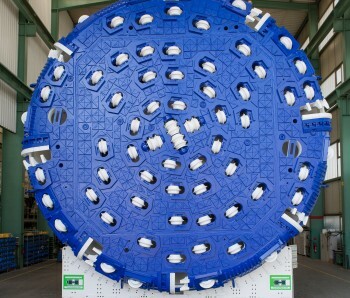 TBMs excavate rock using cutter disks in the cutter head at the front of the machine. 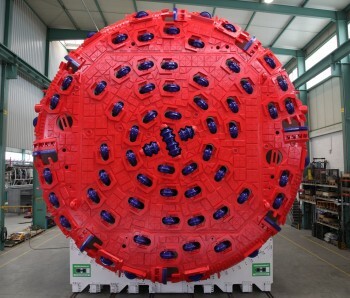 The rotation of the cutter head combined with the trust from the forward movement of the front shield causes the cutter disks to penetrate the rock in front of the machine. 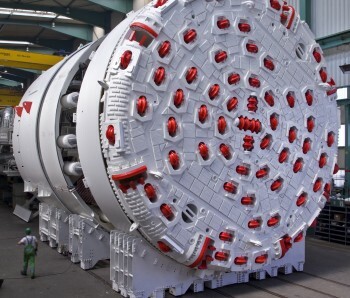 The excavated rock will slide down inside the cutter head on to a conveyor which transports the spoil from the tunnel worksite through an underground conveyor belt. 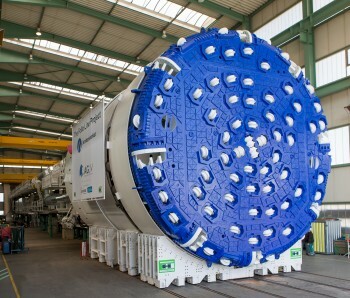 As the cutter head excavates the rock in front of the machine, the rear section of the TBM installs the concrete lining creating the reinforced tunnel wall. 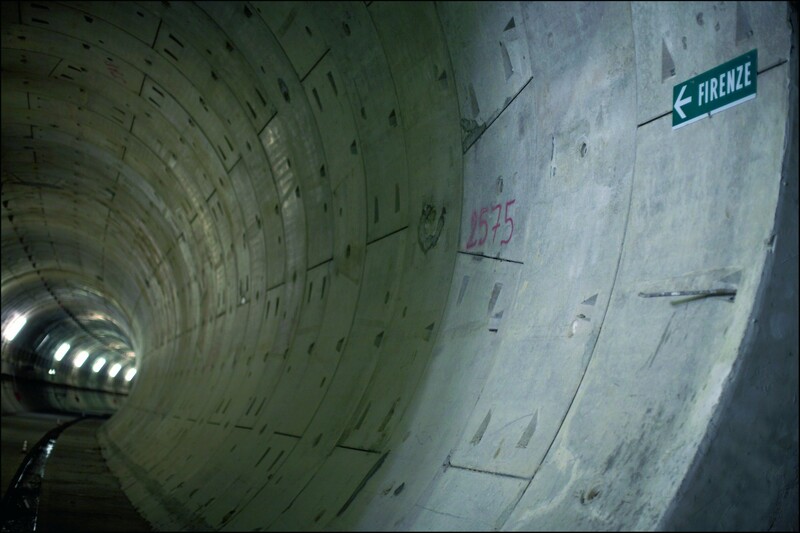 The tunnel at the Follo Line will be lined with pre-cast concrete segments which are combined and bolted into place to complete a ring. 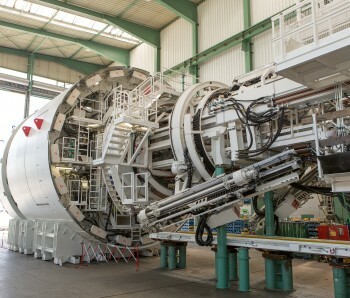 To move forward, the machine uses a gripper system which pushes against the side walls of the tunnel. 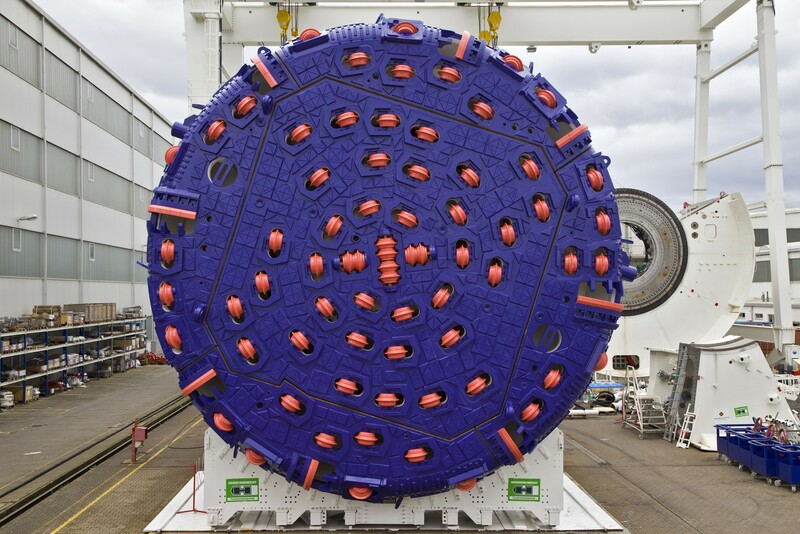 Double Shield TBMs, as used on the Follo Line Project, allow for tunnelling to continue through ground conditions where there may be geological fault zones. 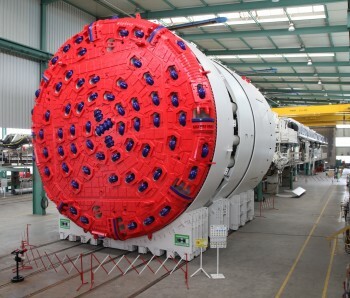 AGJV has built a large concrete segment factory at the construction site to supply the TBMs continuously. 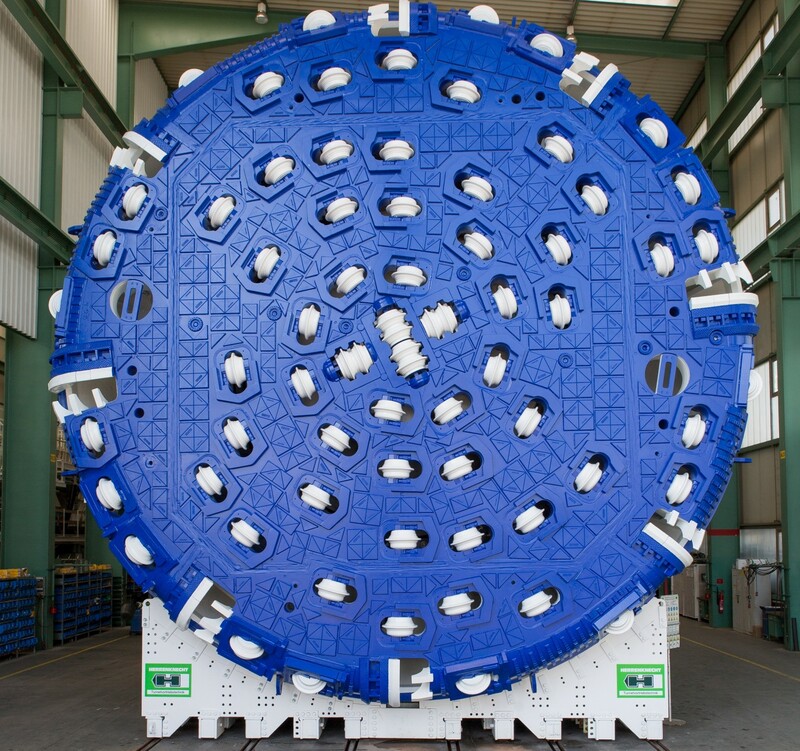 The entire factory area is about 20 000 m2 and has three production lines, batching plants and other auxiliary installations. 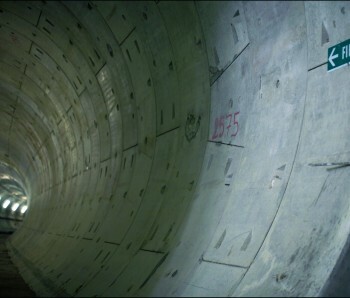 Seven concrete segments is needed in order to assemble one complete tunnel ring. 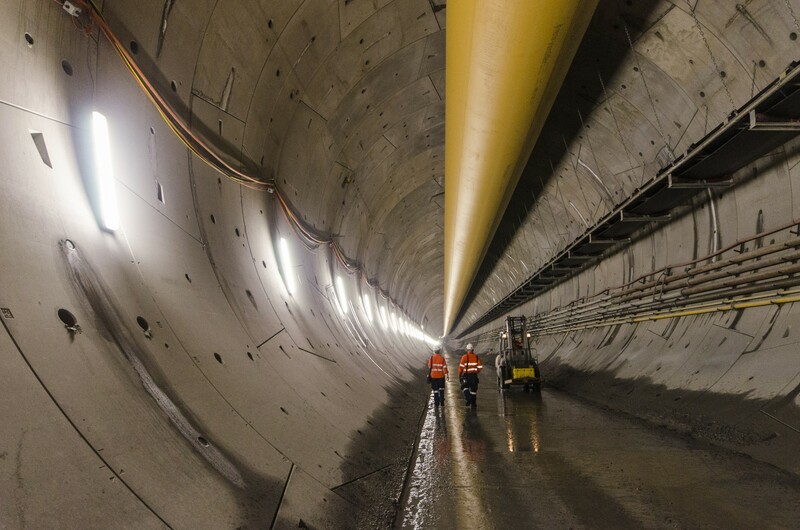 In total almost 20 000 complete rings, or 140 000 concrete segments, is required to make the 18,5 km twin tunnel. 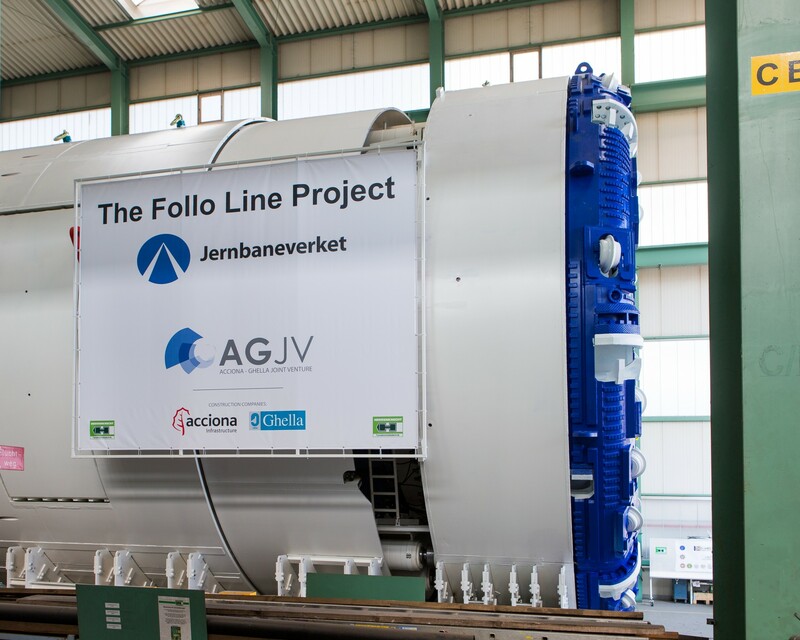 The Spanish company Acciona and Italian Ghella have joined forces and established AGJV. 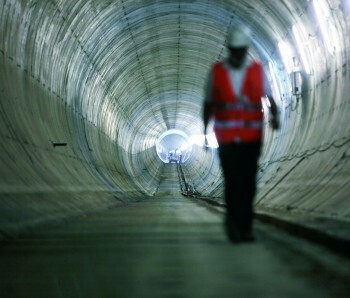 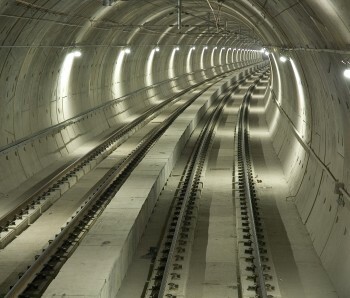 Both companies have extensive international experience in large infrastructure projects, such as tunnels and railroad. 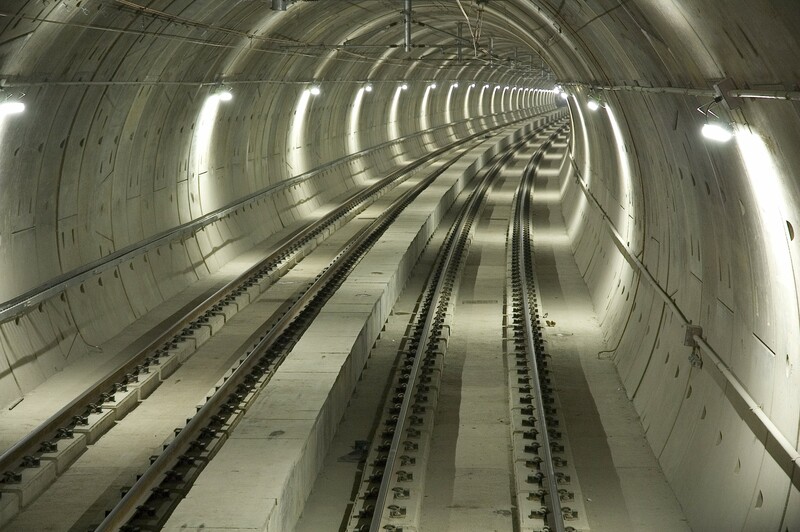 Read more about the companies by clicking the logos below.